Happy Birthday To Anju Mahendru is an Indian actress. 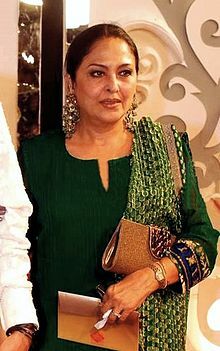 Mahendru was born in Dehradun. She is famed for her relationship with famous Bollywood star Rajesh Khanna and was briefly engaged to cricket player Gary Sobers. Mahendru started modeling at the age of 13. She was discovered by poet and lyricist Kaifi Azmi who recommended her to Basu Bhattacharya. Basu cast her in Uski Kahani in 1966.HAPPY BIRTHDAY!